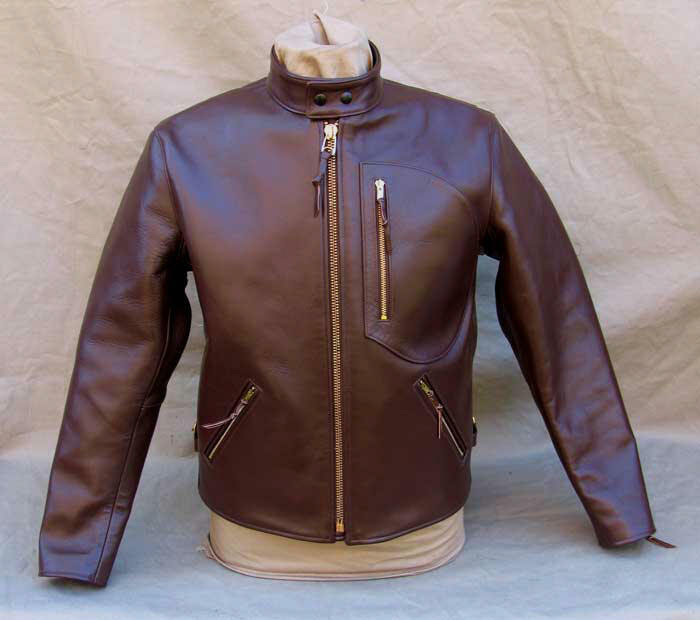 The BUCO RIDER is a rare, possibly one-off design of the old Joseph Buegeleisen company in Detroit, combining a tab snap collar with classic BUCO extended D-pocket construction. A fantastic look, both modern and vintage. 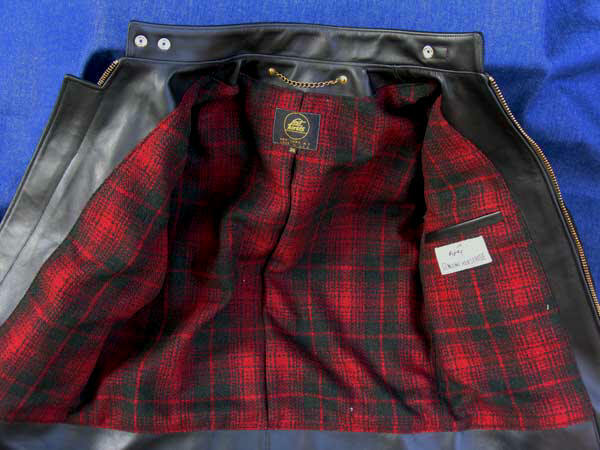 Made alongside our famed BUCO J23 and PJ27 jackets, with identical materials -- and what materials! 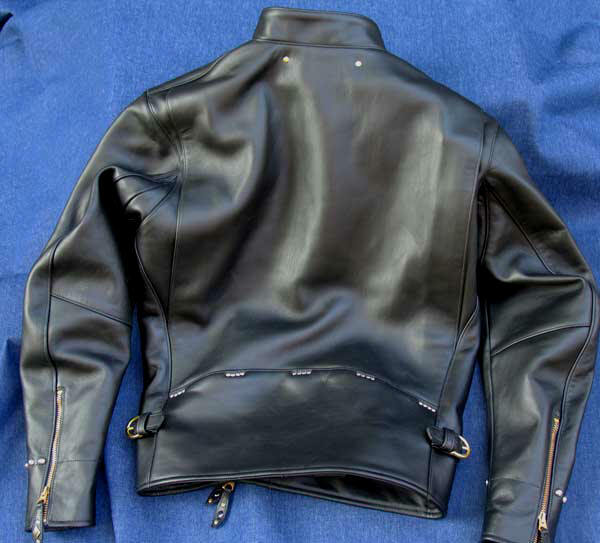 Matchless 4.0+ oz. 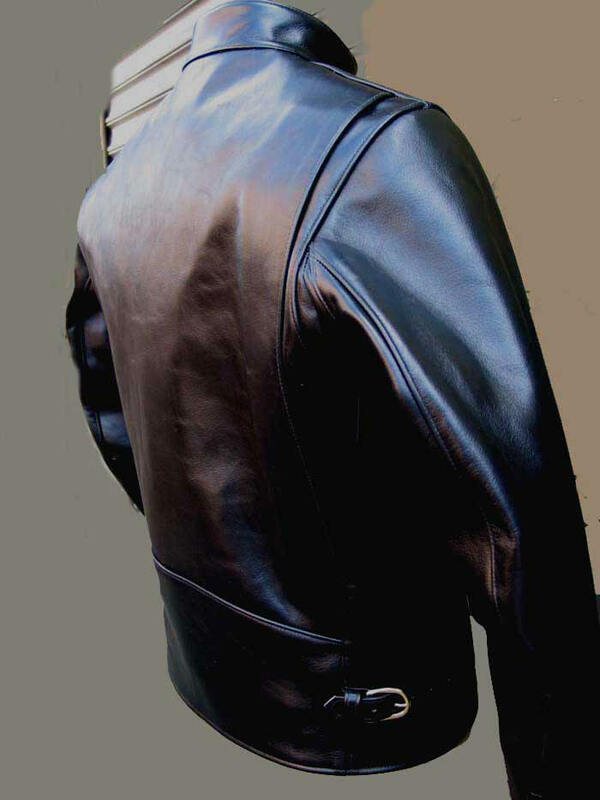 chrome-tanned Horsehide Leather (lighter weights avail. if req. ), from our own tannery. 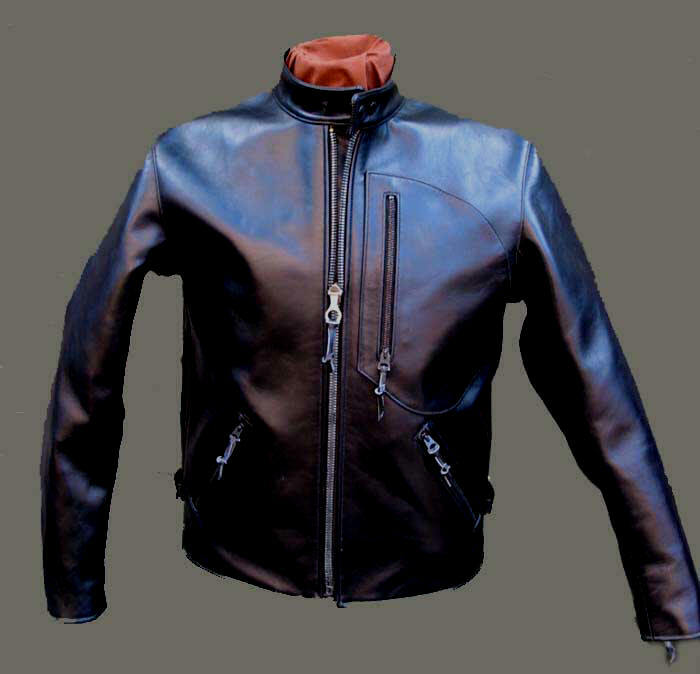 Ultra-heavy, ultra-strong, with the beautiful grain of genuine American Horsehide when broken in. And it doesn't take long either. 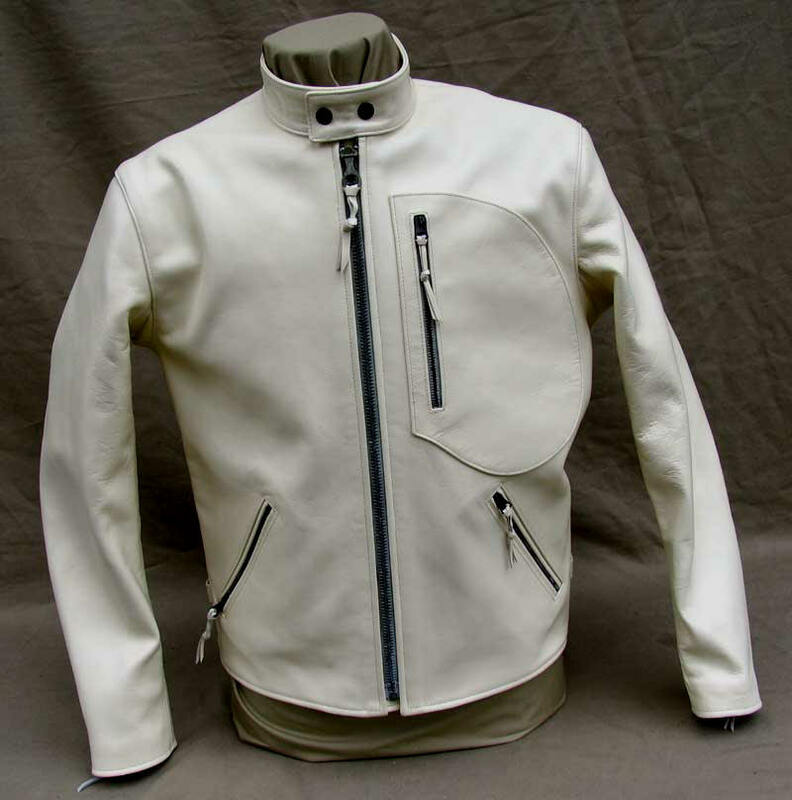 100% Flight Satin Nylon lining with Drill Cotton Interlining (for increased wind resistance when riding). US NOS Scovill Brass Zippers, 1951 NOS US Military Cotton Webbing, Antique Brass Hang Chain. 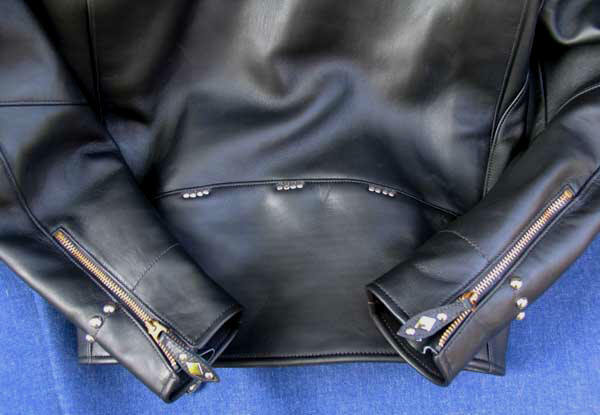 Solid Brass side adjustment buckles. Examine carefully the workmanship in the shots above. 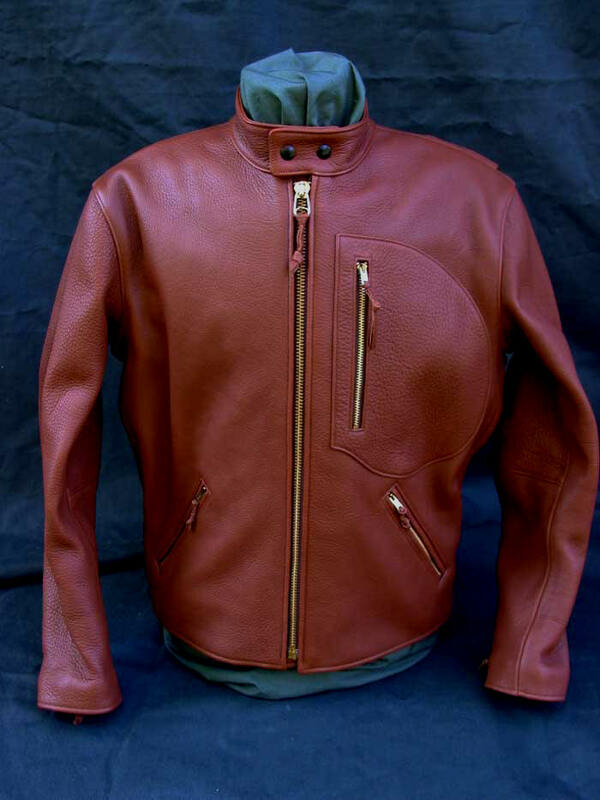 This is a production jacket, nothing more, nothing less. Not a special piece produced just for photography on the web site. 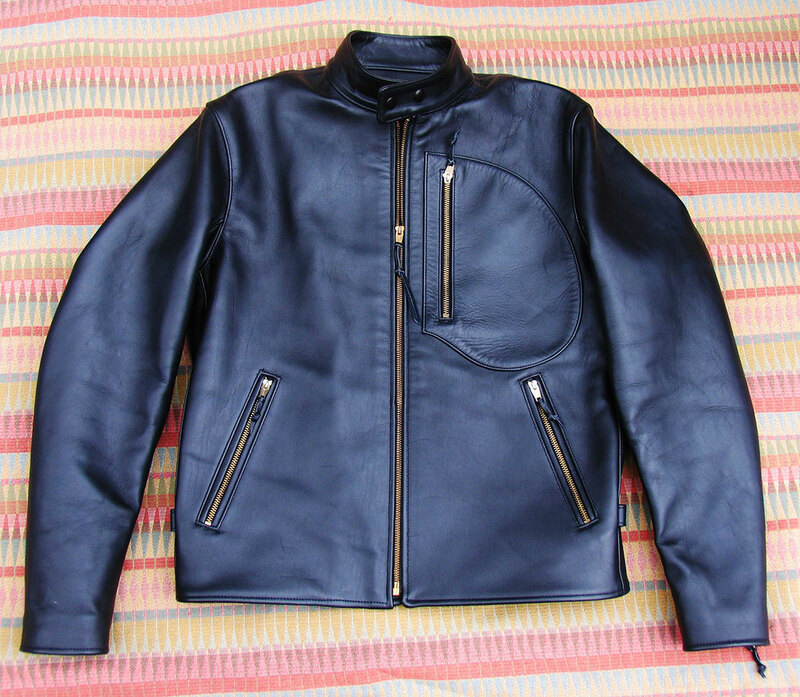 It fits as good as it looks and was born for tough, continuous use in every kind of weather. 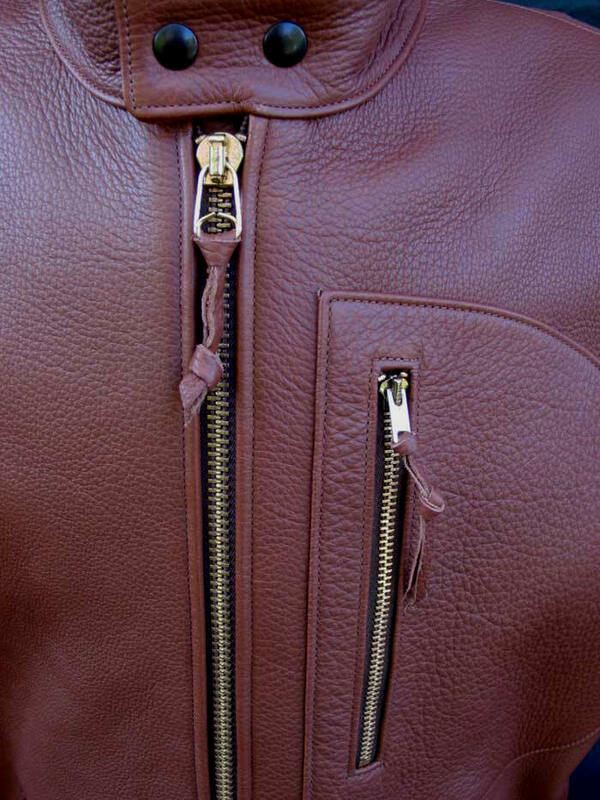 Astonishing American craftmanship. Yet, because the BUCO RIDER is pure function -- check out, for example, the elaborate biswing/gusset construction -- there's a sinewy beauty that arises from honesty and authenticity. Expensive? Hell, no, these are absolute bargains, heirlooms. For those who know, dreams are possible. 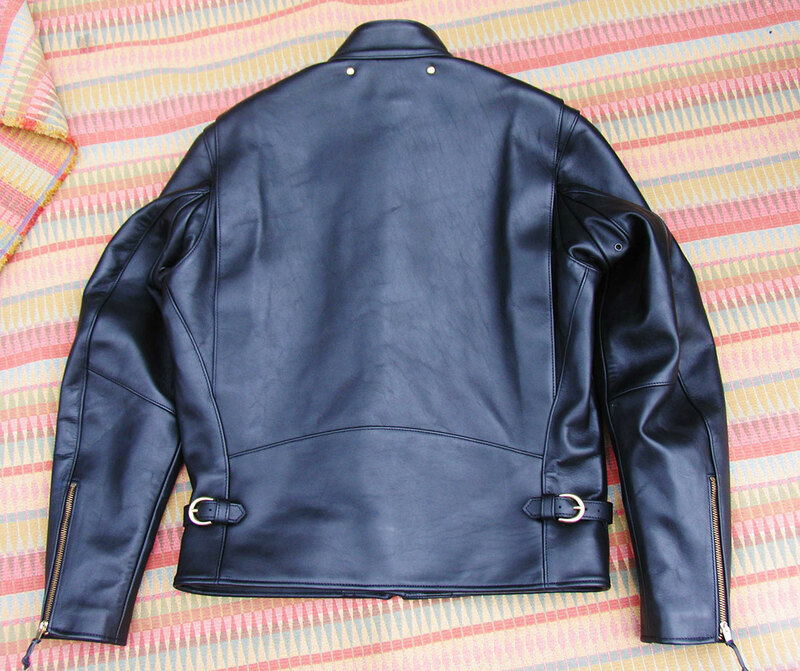 "Got home from a trip to find my jacket waiting for me. What an incredible thing.Amazing fit and finish. Very impressed. Thanks a lot for everything." "It's awesome. Thanks very much." "Good reception of Buco Rider. 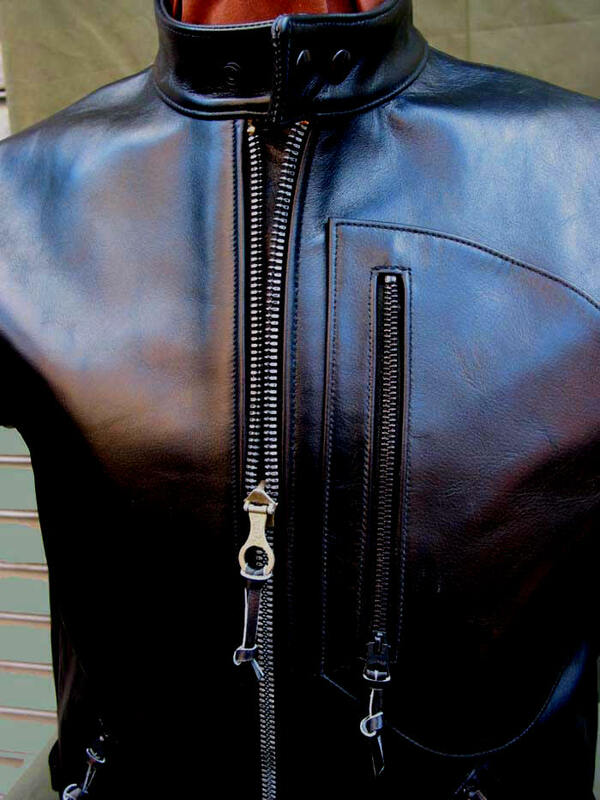 The jacket is "impeccable." 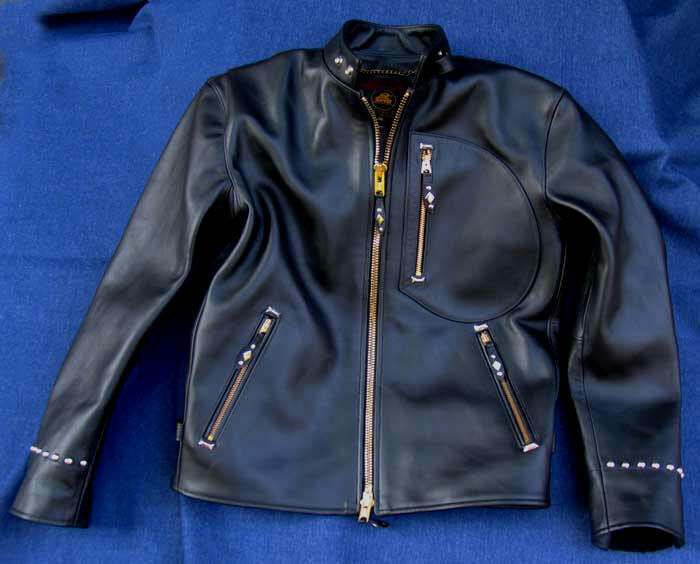 "I received the Buco Rider today and it is a fantastic jacket." Note elaborate, biswing, gusset confoguration. 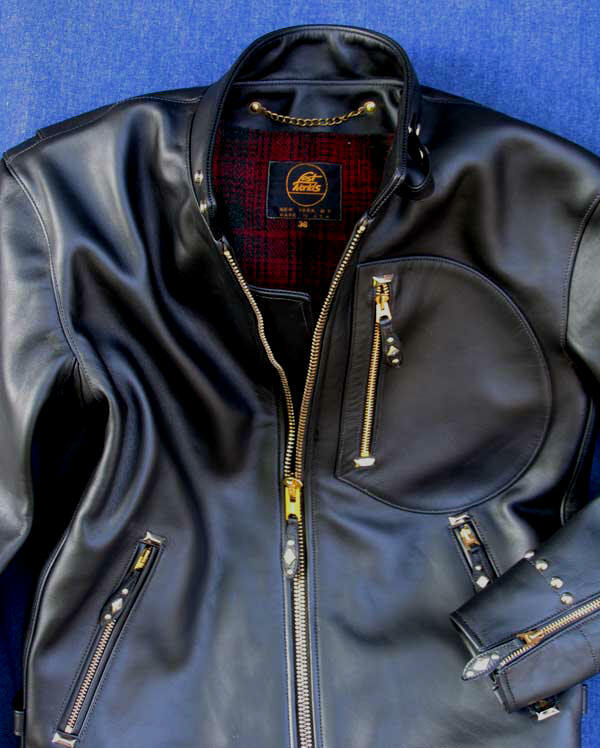 Full Custom version of BUCO RIDER incorporating BUCO J24 Domes/Bars/Diamonds; NOS Vintage Hunters Plaid Wool Lining; NOS Vintage Talon Brass Zippers (2-Way for Front); Modified Collar; Dome-and-Diamond Zipper Pulls. 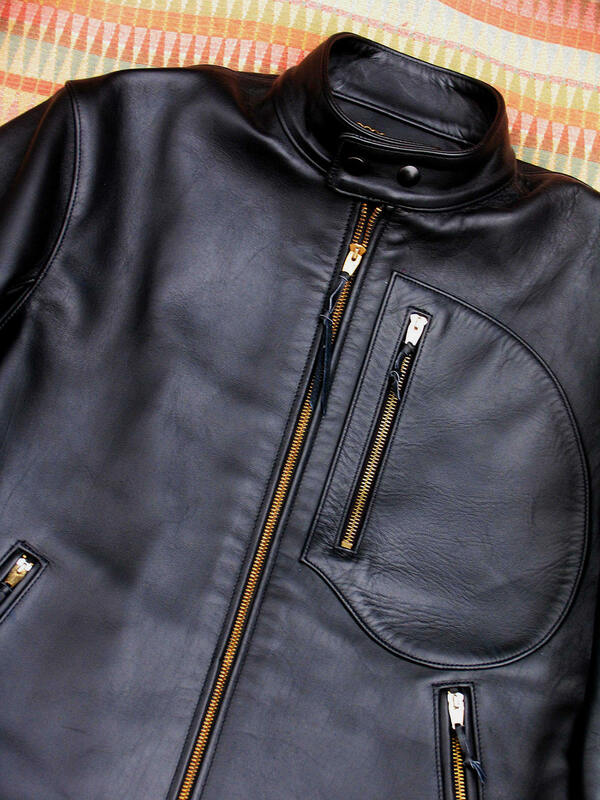 A singular LOST WORLDS statement of riding individualism, protection and style.